It is with profound sadness that we have learned of the death of our very special and talented friend Margaret Ashford. Margaret’s daughter Una joined St Mary’s College in 2007 and Margaret quickly became a much loved member of our St Mary’s family. Margaret was everything a school wants a parents to be. She was very proud of Una and always supported her but Margaret generously decided to use her lovely talents to help many others in the school community in any way she could. Una was a member of the school choir and orchestra and Margaret was their greatest fan. She attended all their performances and helped in her quiet unassuming way – she made beautiful ‘St Mary’s College’ covers for the Music stands which we use to the present day. She showered the staff with hand crafted gifts throughout the year and especially at Christmas. Her beautiful creations adorn our school and our homes and her beautiful memory will adorn our minds and our hearts for many years to come. We would spread the cloths under your feet’ as the angels lead you into paradise. 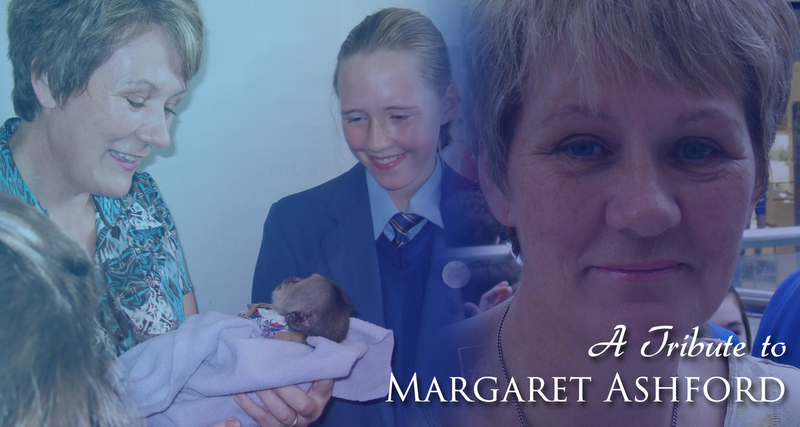 "Margaret was a kind, thoughtful woman, who always had a smile on her face coming in to St Mary’s. Her embroidery skills and talent were impeccable, Margaret shared her passion and skills with GCSE/A’Level Art students which was a valuable experience for all of us.